Russia begins construction on a trans-Macedonian pipeline that could resurrect the South Stream project. The pipeline’s projected capacity currently isn’t large enough to substitute for South Stream, but its construction could lay the foundation for its successor. This is because Russia earlier announced that it will be phasing out all gas transit through Ukraine when Turkish Stream goes online in a few years, and urged the Balkan states to quickly agree to an alternative way to receive Russian gas, on which they all depend. The Hungarian President discussed possible financing for an alternative Balkan pipeline with Erdogan during a four-day visit to Turkey, and the Macedonian Foreign Minister was also in Ankara on a visit as well. The latest reports are that Greek Prime Minister Alexis Tsipras pushed his planned visit to Moscow ahead by a full month, and it remains possible that the Balkan pipeline could be on the itinerary of discussion for when he arrives in Russian on 8 April. With Bulgaria out of the picture, it appears ever more likely that a new South Stream project could be resurrected through Greece and Macedonia, with latest announcement forming the geographic basis of the new pipeline. 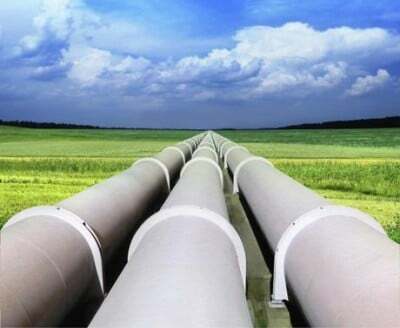 Korybko: Russia began construction of a trans-Macedonian pipeline that could resurrect the South Stream project. The pipeline’s projected capacity currently isn’t large enough to substitute for South Stream, but its construction could lay the foundation for its successor. This is because Russia earlier announced that it will be phasing out all gas transit through Ukraine when Turkish Stream goes online in a few years, and urged the Balkan states to quickly agree to an alternative way to receive Russian gas, on which they all depend. Last Friday, the Hungarian President discussed possible financing for an alternative Balkan pipeline with Erdogan during a four-day visit to Turkey, and the Macedonian Foreign Minister was also in Ankara on a visit as well. The latest reports are that Greek Prime Minister Alexis Tsipras pushed his planned visit to Moscow ahead by a full month, and it remains possible that the Balkan pipeline could be on the itinerary of discussion for when he arrives in Russian on 8 April. With Bulgaria out of the picture, it appears ever more likely that a new South Stream project could be resurrected through Greece and Macedonia, with last week’s announcement forming the geographic basis of the new pipeline. Strokan: I think those developments you’re referring to show that Europe really needs Russian gas, and when last December Russia was forced to cancel the South Stream project, there was a lot of disappointment in those countries in Europe that were expecting Russian gas to come to their houses. So the question was what comes next? It took Russia just nearly 3 months to come up with this entirely new project which can actually give new steam to the idea, because the idea was quite practicable and quite useful. Korybko: I’d like to remind everyone that President Putin first suggested the idea in the middle of December. Now, to get some additional insight, I’d like to welcome our in-studio guest, Mr. Israel Shamir, who is an Israeli prominent author, to our program. Shamir: What we should remember in all this thing is that, and it’s also extremely amusing, to see how those modern devices like pipelines actually rebuild the old mosaic of old empires, because Macedonia, Greece, Hungary, all that is part of the old Ottoman Empire, and before that, the old Byzantine Empire, which is so closely traditionally connected to the Russian one. While the West succeeded in taking over the Balkans after World War II, or actually, during the first half of the 20th century, they took over the Balkans, now in a way we see some process of all this part of the world being retaken again by the alliance of Turkey and Russia. We can see in a very interesting way a sort of replay of the old games of the three great empires, which if you follow The Game of Thrones, should be very entertaining for you. But besides that, obviously Turkey is the most stable element of all those places, and that is something which one can really hope to rely upon. Greece is the next best, it also has some strong bones. If we come to Macedonia and other Balkan countries, we see that since they were unhinged out of the Ottoman Empire over 150 years ago, since then, they completely lost their base and can be pushed in any way. Hungary is also in a quite weak state as it is. So I’d say that building upon Turkey is a very good step by the Russian President. Korybko: Israel, thank you very much for your insight. Now we are joined by Mr. Umberto Pascali, a prominent Italian journalist who specializes in Balkan affairs. Mr. Pascali, as an expert in the Balkans, can you tell us how important a Russian gas pipeline would be for the region. Pascali: The Balkan Stream pipeline will be extremely important, in fact, both from an economic standpoint, and even a political, historical, and strategic standpoint. This can create close economic collaboration in an area that goes from Turkey up to Austria, basically up to Germany. This has always been an area that was under control by forces from outside the area, and has been an area that was destabilized continuously — it’s enough to remember World War I. Now, a pipeline bringing energy, a river of development, from Russia through Turkey, will first of all stop the Balkanization, which is the strategy of divide and conquer first applied by the British Empire and then by the American Empire, and will create economic cooperation that will establish peace, but not just that. It’ll also establish independence and defend the sovereignty of the area, and will create the first concrete example of real Eurasian collaboration. The Russian energy that goes through Europe through this large area will be an example, probably, for the rest of Europe. Korybko: Yes, this would be very significant for the reasons you just outlined. So with this in mind, has the US done anything to sabotage this project like it did for South Stream? Pascali: Yes, we’re in the middle of an attempted coup d’état for example in Macedonia, and pressure against many other countries against Anglo-American forces. First of all, by the wonder boy of American foreign policy, George Soros, who has been financing Color Revolution all over the area, and then by the State Department itself, with Melia, the Victoria Nuland’s deputy, who has been defending the attempted coup d’état that has been going on in Macedonia, which you had described. Thomas Melia, Nuland’s deputy, said he doesn’t see any problem in the fact that the head of the opposition has received tapes, recordings, made illegally by a foreign intelligence agency, which everybody identifies with the CIA and American agencies, against the elected government of Macedonia. So the government of Macedonia, fortunately, came out very strongly and said that they will not accept that external forces will destroy their country. At this moment, the population is mobilized behind the Prime Minister, Nikola Gruevski, who’s ‘fault’ is that he didn’t accept the sanctions against Russia and is supporting this pipeline, so at this point, we’re in the middle of this fight, and I hope that everyone from the East and West will support this fight against the destabilization in Macedonia. Korybko: Yes, there is definitely a massive tug-of-war going on here. So I want to ask you as a concluding question, Mr. Pascali, how likely are the chances that the Balkan Stream project will succeed, considering the opposition against it, but also looking at all the grassroots support for it. Pascali: Exactly. This is now sort of Battle of Stalingrad in terms of energy, because the forces that until now controlled the movement of energy to the West, are not going to allow from their standpoint that there is an independent source of energy that will be controlled by the sovereign countries of the area. On the other side, there is a high level of cautiousness within the population, not only within Macedonia, but in Greece, in Hungary, in Serbia, in the Czech Republic, in Austria, even. So we are here, in the middle of this battle that could really bring us to the end of the unipolar world in a concrete way, in an economic and political way. So I think that at this point, everybody should support the leading country, the small country that is leading this fight for independence for a multipolar and democratic world, the Republic of Macedonia and Prime Minister Gruevski. Korybko: Mr. Umberto Pascali, thank you so much, but unfortunately this is all the time that we have for this section, but I want to warmly thank you again for your insight and commentary. I’m sure that our audience has learned a lot about the region and the tense and dramatic battle underway for it. Thank you very much. Now we have the honor of being joined by a famous Macedonian journalist and popular host of TV Sonce’s flagship program, The Voice of the People, Mr. Slobodan Tomic. Slobodan, we’re familiar with Zoran Zaev staging a massive destabilization in Macedonia, and I’m wondering, can this be connected to the plans for Balkan Stream? Tomic: Thank you, Andrew, absolutely, you’re right, I absolutely agree with you. First of all, let me express something, please. Macedonia is very good friends with all countries in the world, including the US, since we already have agreements for technical cooperation. That means that Macedonia is friends with Washington, Moscow, all the four corners of the world. By the way, everyone in Macedonia knows that Zoran Zaev and his hidden sponsor Crvenkovsky receive orders from powerful foreign intelligence, US intelligence. Zaev is a puppet, American intelligence pulls his strings. They had been trying for years without success to try a Color Revolution against the elected government of Nikola Gruevski, but it was only after the President of Russia, Vladimir Putin, and of Turkey, Erdogan, announced on December 1st that the South Stream was to be replaced by a new pipeline, the Balkan Stream, that Zaev received the order to become a kamikaze and destabilize Macedonia at any cost, even if that means that the treason will become public and provoke Macedonians. The US did everything to sabotage South Stream and succeeded. They had two goals, according to many analysts. The first was to prevent Russia from independently exporting its energy, and the second was to strangle the energy route to the Balkans and all the other countries in Europe. This is the like the case of the coup that occurred in Kiev. The final aim is to prevent Russia, China, and Europe from collaborating peacefully and to mutual benefit. Korybko: Thank you for that insight, it’s very thought provoking. My next question to you, Mr. Tomic, is what do regular Macedonians think about all this, not only Zaev’s destabilization, but also the Balkan Stream? What kind of benefits do they think they can get from all of this? Korybko: This is very encouraging to hear. Unfortunately, Mr. Tomic, we only have about one minute left for the last question, so I’d like to ask you how Balkan Stream can stabilize the region and how it can ‘un-Balkanize’, if you will, what was previously a fractured region and possibly unite it? Tomic: First of all, thank you for this question. I feel that Balkan Stream will be real powerful not only for Macedonia, but for all the region, but first of all, let me stress, this is a very important point, that Macedonians feel genuine gratitude for Russia and appreciate its courage in fighting old and new threats. I wanted to mention one important fact — my TV program, Voice of the People from TV Sonce, was the first one last December to broadcast a proposal made by the analyst Umberto Pascali that both Macedonia and Greece ask President Vladimir Putin for honest mediation in solving all the problems between the two countries. I received many messages and calls of support for this proposal. I think that Macedonians feel a growing confidence in the positive role that Russia could play in the Balkans. I can testify that Macedonians felt enthusiasm last December 18th when President Putin stated officially, and I quote, the pipeline will reach Macedonia via Greece, go on to Serbia and to Baumgarter in Austria. While the big powers in the West tried to keep Macedonia in a position of isolation from Moscow, President Putin was telling us that we were not isolated, but needed, and thanks to Prime Minister Gruevski were are a crucial country in the map of Balkan and European development. The whole Balkans now has the choice to collaborate for own development. Freedom, patriotism, and economic prosperity go hand in hand. I really hope that President Putin can begin a real mediation between Macedonia and Greece. This is the main benefit of the Balkan Stream for us, and I hope that answered your question, Andrew. It was a pleasure to join you on your program this morning. Korybko: Thank you very much, Slobodan. It was an honor to have you on here, we really appreciate it. Have a wonderful day.